Marie Jane Derkosh, 88, of Nesquehoning, entered into eternal rest Sunday, November 18, 2018 in MapleShade Meadows, Nesquehoning. She was the wife of the late Stephen “Drake” Derkosh who passed away December 24, 2002. Born in Jim Thorpe, she was a daughter of the late Maurice and Sadie (Engleman) Rohn. She was a homemaker. 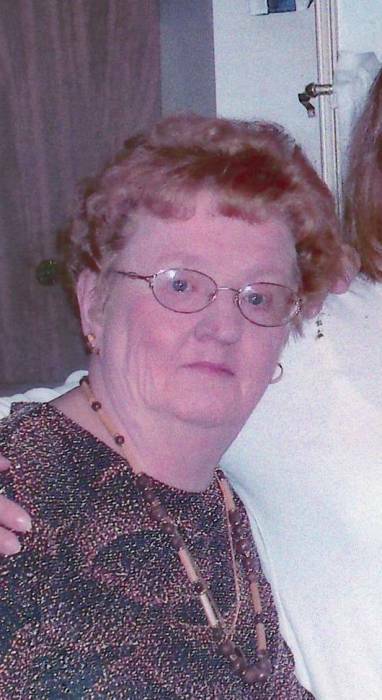 She was a member of St. Joseph Parish, Jim Thorpe where she was a member of the Ladies Auxiliary. She was also a member of the Catholic Daughters of America. Marie enjoyed cooking and playing bingo but especially loved spending time with her family. Surviving are a son Glenn and his fiancée Cyrilla Gavornik of Jim Thorpe; daughters Christine Stehle and her husband Joseph of Mifflinville and Bernice Sweeney and her husband Vincent of Nesquehoning;; grandchildren Stephen Derkosh, Amy Wenner, Timothy Stehle, Michael Sweeney, Matthew Derkosh; great grandchildren Chelsea Rockey, Andrew Wenner, Jacob, Shelby, Cassidy, and Brady Derkosh and Harper Sweeney; great great grandchildren Charlotte and Ella Rockey; and many nieces and nephews. She was also preceded in death by a son Mark, a sister Rose Buth, brothers Edward, Robert, and Charles Rohn and Cletus Engleman, and two infant babies Edna May and John Wilber. A Funeral Service will be held Wednesday, November 21, 2018 at 11:00 A.M. in St. Joseph Parish, 526 North St., Jim Thorpe with Rev. James Ward officiating. Interment will be held in the parish cemetery, Jim Thorpe. Viewing will be held Wednesday 9-10:30 A.M. in the Joseph S. Blazosky Funeral Home, 81 E. Catawissa St., Nesquehoning. In lieu of flowers, donations will be accepted in her name to the church. Online condolences at www.blazoskyfh.com.